Get up close to crocodiles, pat a koala, check out the tigers and keep your eyes peeled for a roving wombat at Australia’s most famous animal sanctuary, Australia Zoo. Check out an animal show, go behind the scenes at the Wildlife Hospital or sign up for a zookeeper for a day program with heaps of hands-on wildlife experiences on offer and exclusive behind the scenes opportunities. 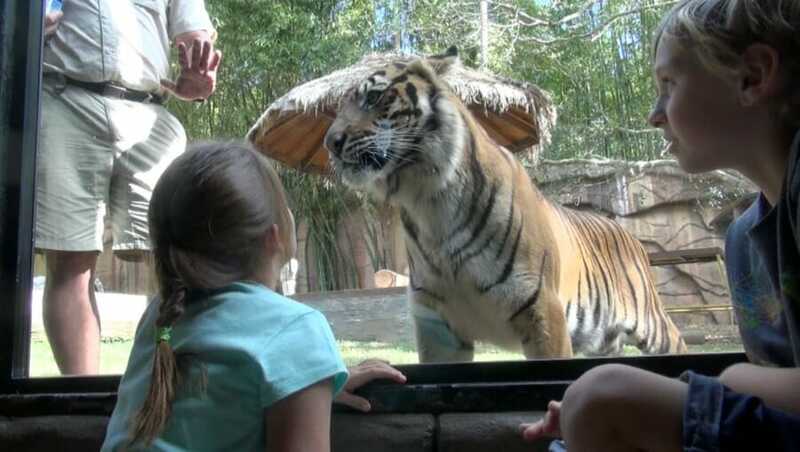 Founded by the father of the late and famous TV Wildlife Presenter Steve Irwin, Australia Zoo is the most popular attraction in Queensland’s Sunshine Coast. Kids can book a school holiday Zoo Keeper for the Day or families can join in one of the behind the scenes tours.